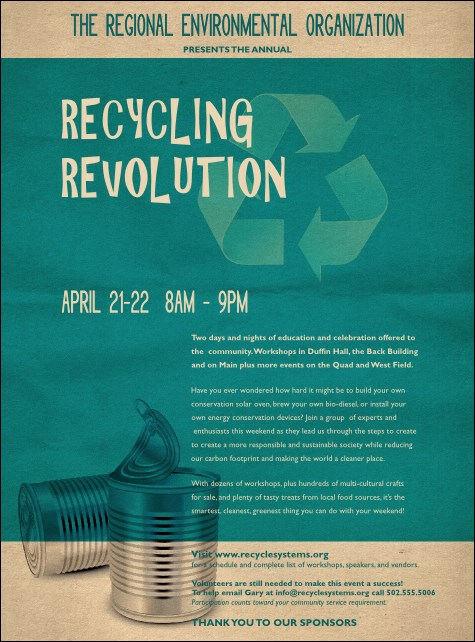 Help people make responsible choices with the Recycling Event Flyer. All the details of your event can stand out with 23 spaces for your celebration's specifics. The green and tan color scheme reminds everyone why reclaiming resources makes the world a better place.